An organisation’s ability to both identify and measure its true cost drivers provides a powerful management tool that has potential to directly improve its bottom line. Activity-based Management (ABM) is a method of identifying and evaluating activities that a business performs. ABM then draws on Activity-Based Costing (ABC) as its primary source of information to carry out a value chain analysis or a re-engineering initiative. The resulting understanding of an organisation’s actual costs from identified cost drivers can then be used to model different scenarios, empowering the business to make more informed decisions. 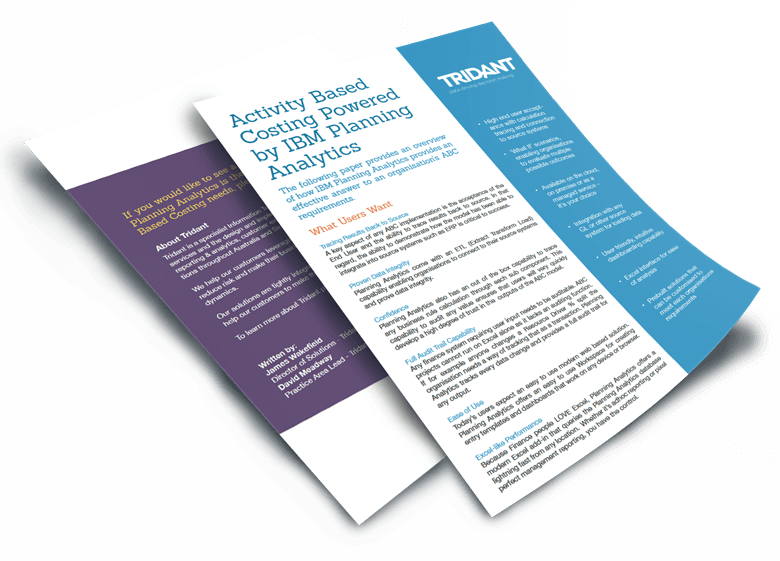 Tridant has a proven track record in designing and implementing Activity-Based Costing & Management solutions for a wide range of private and public sector organisations. Our particular expertise lies in leveraging an organisation’s data assets in order to improve profitability, increase revenue, reduce risk and make their organisations more responsive to customer expectations and market dynamics. 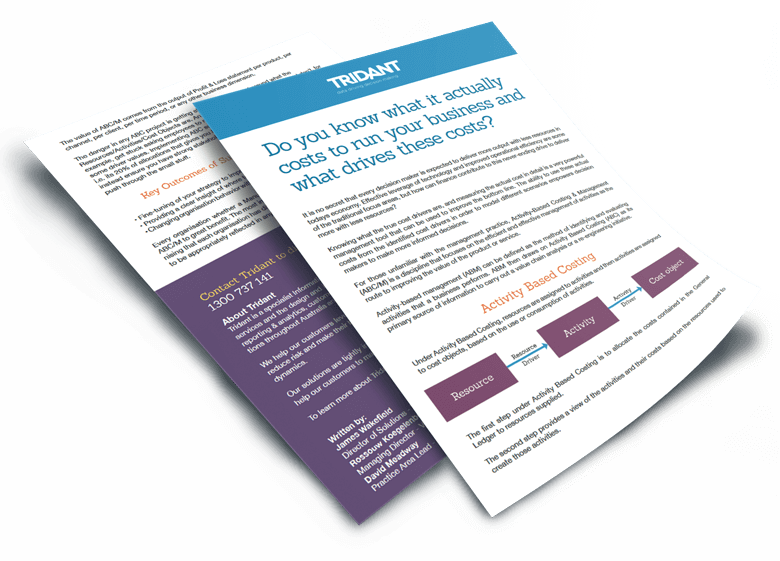 Learn More About Tridant's Activity-Based Costing Solutions. Do you know what it actually costs to run your business and what drives these costs?